Ah, the Chinese New Year. Celebrated for a total of fifteen days, this noisy and colourful occasion marks the beginning of a brand new year according to the Chinese calendar. 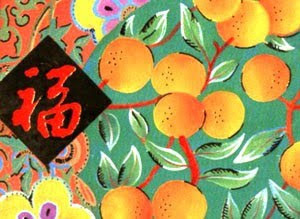 It is a time for loud well wishes, amiable chatter, fantastic food, and of course - the all-important red packets. If you live and work in predominantly Chinese areas like Singapore, you should find yourself invited into many homes during this period. Forget the presents, wine or food to bring along for the visit. What you need are red packets, or hong bao. The hong bao, or red packets, are handy-sized paper envelopes stuffed with money. 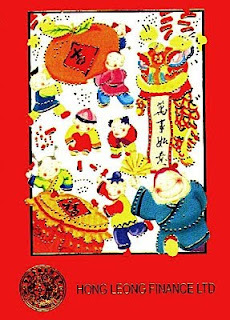 Married adults and the elderly give these hong bao to children and unmarried young people as an act of well wishing and blessing. If you are still single and look wonderfully young, you may find red packets pressed gently into your hand after a friendly handshake. Don't wave your hand and say no, for this is the way the giver is wishing you a happy new year. However, if you fit the bill as a "true adult", a senior in the crowd, then you too, become a hong bao giver. Just imagine yourself being the Santa Claus of Chinese New Year! Okay Santa, start your first hong bao giving experience by getting the packets first. Well, the easiest way is to buy them of course. As the great festival approaches, you can't miss the many displays of red packets for your picking. Packs of ten are usually sold for less than S$5. 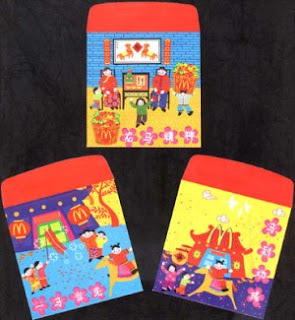 Alternatively, many retail outlets, supermarkets and banks actually give away uniquely and beautifully designed hong bao with over-the-counter transactions. Just remember to ask politely the nice lady or gentleman serving you if they have such give-aways. Now that you have got the packets, how much should you put in them? This is a delicate game of math. Firstly, the amount of money is always carefully calculated to be of an even number because odd numbers are considered unlucky. Basically, in the relatively affluent Singapore, you can't give anything less than S$4. Do that, and risk the embarrassment of Junior voicing his disappointments out loud! Should the child belong to your boss or business partner, spare no expenses in giving a good impression. For if your hong bao looks good, you will look good! Trust me, the parents will know if you are stinging. But don't break into cold sweat and think about how to run away from the occasion yet. After all, you are "just" a guest, a foreign friend, so expectations will not be running sky high. An average of S$8 will probably do very well for the kids of friends and peers, especially when the number "8" (fa) sounds like "get rich" in Chinese. And a trick of the trade - try to finish this business of hong bao giving as fast as you can! For it is only upon fulfilling this "adult duty" can you then settle down on the couch, drink in hand, and actually start meeting new friends. This is also a good time to show appreciation for all the folks who have worked hard all year to better the environment you live and work in. A S$10 to S$20 hong bao is a great way to say thank you to cleaners, security guards and gardeners! And chances are, you will find the bunch of people exchanging friendly greetings with you and going that extra mile for generous you too! Red is quite the official auspicious colour during this period, and gold (the colour of money, of course) is a popular complementary colour for the hong bao. Just in case you have been too obsessed with stuffing the hong bao with money, have you realised that these red packets are often very finely designed too? In fact, collecting these works of art that come around once a year can be a beautiful hobby. 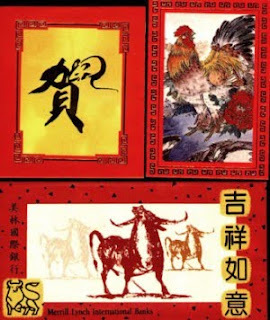 The Chinese zodiac - the twelve-year cycle designates each year according to an animal. The Year of the Rat is followed by Pig, Dog, Rooster, Monkey, Goat, Horse, Snake, Dragon, Rabbit, Tiger and Ox. Year 2002 is the year of the horse, so you can expect to see all forms of representation of this magnificent creature. Fishes - the Chinese pronunciation of fish, yu, is similar to "abundance". Thus pictures of fishes are popular for beckoning a year of plenty. The carp has the additional symbolism of longevity too. The God of Wealth - also known as chai shen. The desires behind giving such red packets are obvious - it is equal to saying "may lots of money come your way in the new year!" Cartoon characters - Pokemon, Hello Kitty, Snoopy and the Powerpuff Girls - all these famous toons have made colourful appearances on the hong bao. While red remains the predominant colour, packets with popular cartoon characters are usually awash in bold shades of colours. These cartoon packets are definitely a hit with kids, and will come in handy in increasing your popularity index among the squealing children!